Short units offer a variety of lively topics while providing training in exam skills and solid language development. 'Key words' sections informed by English Profile, highlight the words and meanings A2-level students need to master. 'Spelling Spots' and 'Grammar Extra' boxes, informed by the Cambridge English Corpus, provide help with language points that Key students can find difficult. Regular Exam folders and Writing folders provide systematic exam preparation and practice. The CD-ROM provides activities and games for practice of the target language. 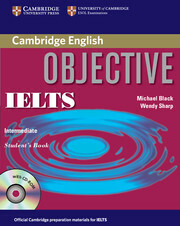 A Testbank access code for four online Cambridge English: Key practice tests is included with this Student's Book.